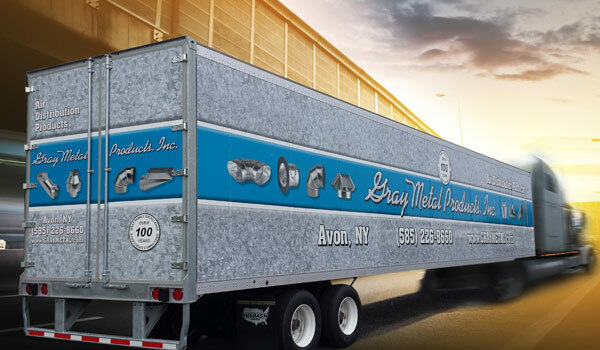 We specialize in the professional design, printing and installation of high-quality truck, car, van, trailer, boat wraps and fleet vehicle wraps. 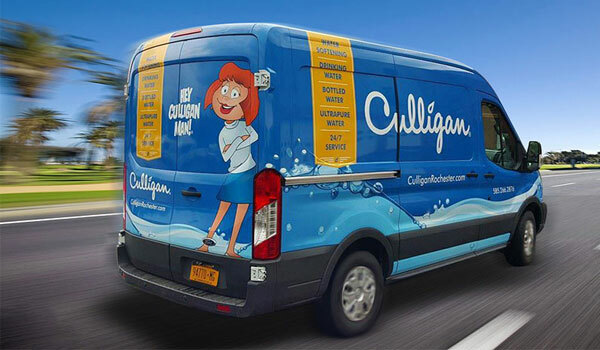 If you are seeking an experienced vehicle wrap company, we take your vision and turn your vehicle into an effective, mobile advertising vehicle for your business. 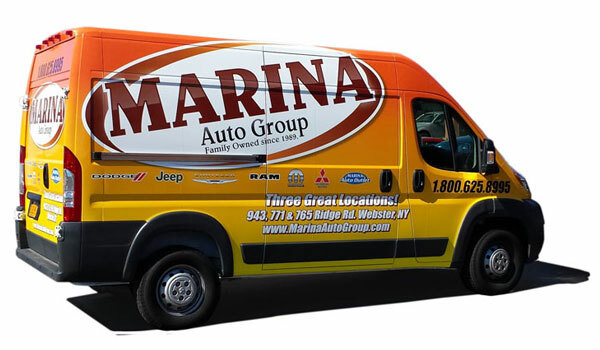 Since 1999, we have been assisting Rochester businesses with their mobile advertising and signage solutions, including: vehicle wraps, fleet graphics, vinyl decals and lettering. We also install architectural and retail graphics to walls, floors, windows, exterior store displays, service stations, etc. 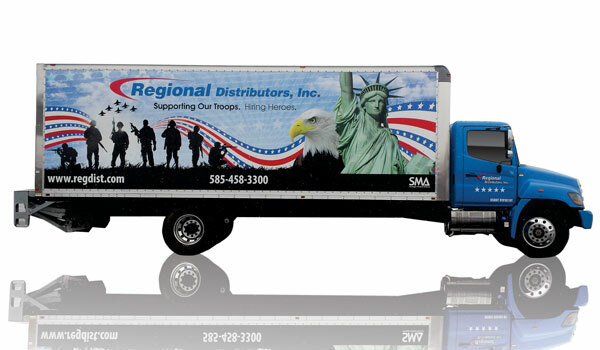 Vehicle wraps and fleet lettering advertise your business in a way no other media can. Your vehicle literally becomes a rolling billboard advertising your business day after day. Just think of all of the potential clients your vehicle passes everyday, and all of the people who are stuck behind you in traffic. Even when your vehicle is parked, it is still advertising for you. 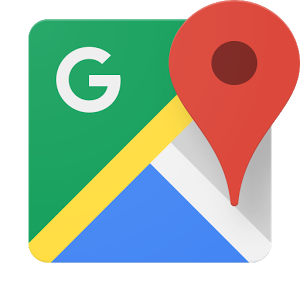 In fact, lots of businesses benefit by parking a wrapped vehicle out in front of their business for better visibility and as additional signage to stationary building signage. A vehicle wrap consists of covering a vehicle completely (full wrap) or partially (partial wrap) in an adhesive digital vinyl material. 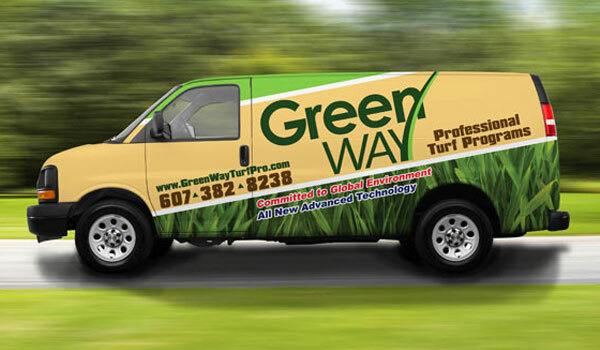 We print your mobile advertising vehicle wrap on only the highest quality vinyl (3M ControlTac vinyl & laminate in most applications), then the printed vinyl is covered with an overlaminate to make it scratch and chemical resistant, and to give it UV protection. Then our experienced installers go to work, carefully applying your advertisement to your vehicles, fitting and conforming the vinyl around the curves and contours of your vehicle. 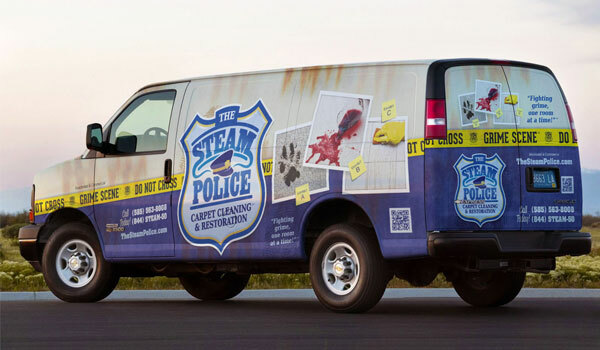 Vital Signs is one of the best known vehicle wrap companies in the Rochester, Buffalo and Syracuse, NY area, with 3M Certified wrap installers who can perform any kind of vehicle wrap imaginable, on any type of vehicle. Whether you have only a few vehicles, or 50 in your fleet, Vital Signs is the only company you need to keep your vehicle advertising attractive and effective.